The exhibit runs through Dec 21, 2017. This new painting of mine will be exhibited in this show! 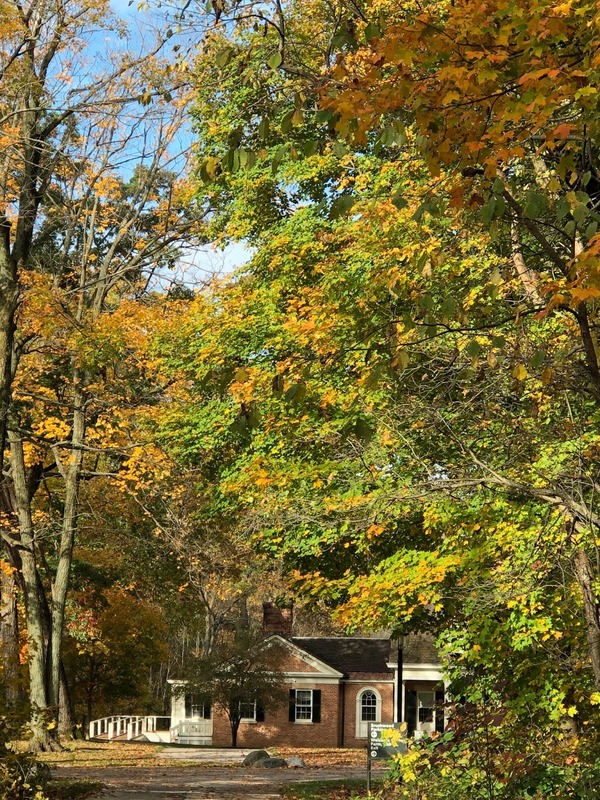 Every Monday and Saturday, Brushwood Center is bustled with artists. 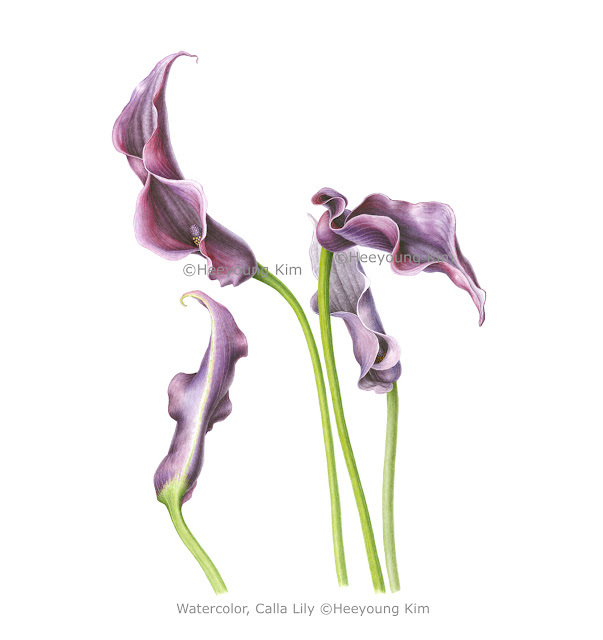 Botanical art classes, from beginning to advanced level, are designed and taught by me, Heeyoung Kim. 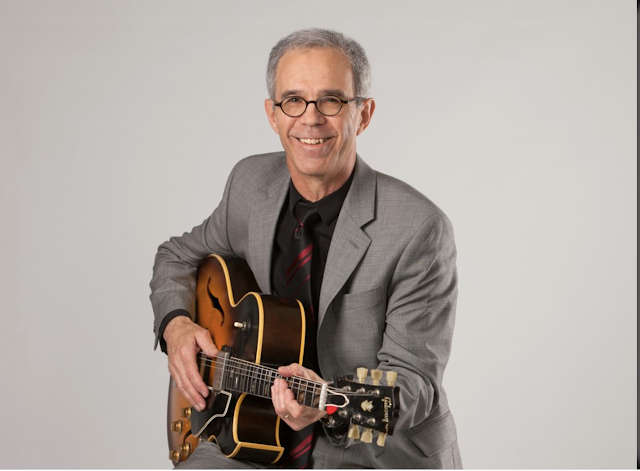 Since I started the program at Brushwood Center in 2011, it has grown steadily and strongly. And Brushwood Center has supported my program by hosting annual exhibit. 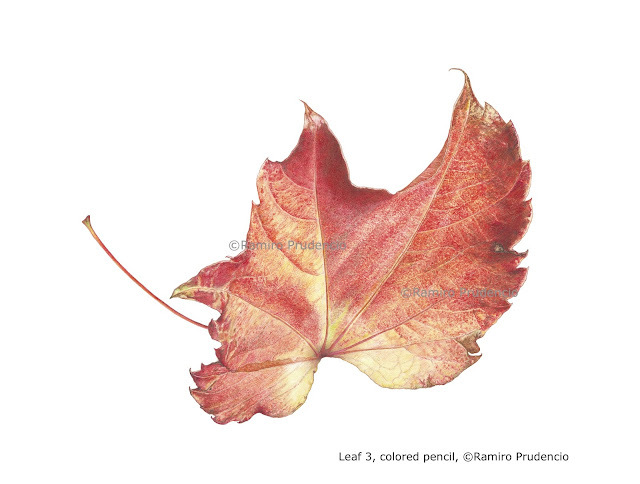 With the results from the classes, we exhibit our works to the public at the end of the year. 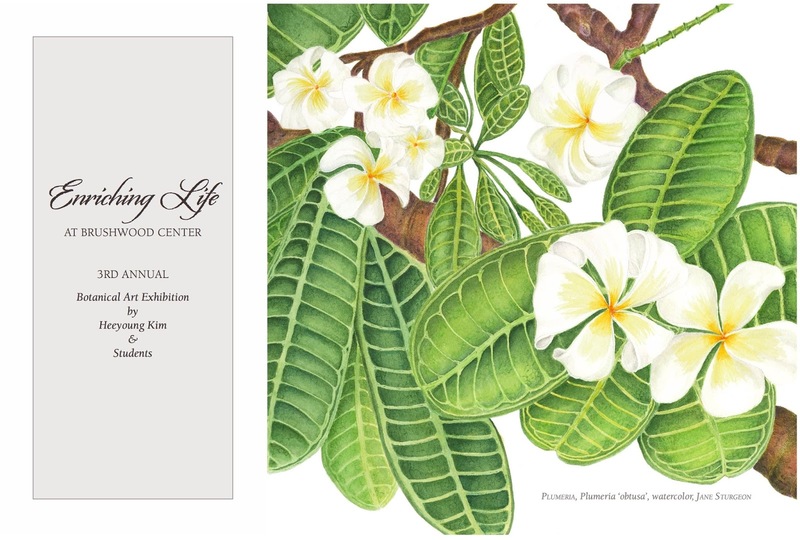 Despite Chicago's cold winter, we have attracted big crowd of art supporters, nature enthusiasts, avid gardeners and/or anyone who like to support art and Brushwood Center. The followers are ever growing. 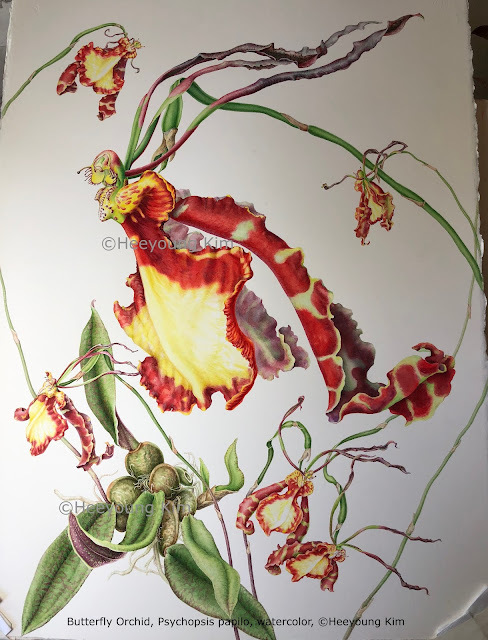 This year, some of the participating botanical artists got in international juried botanical art exhibitions: Jane Sturgeon and Susie Williams to Filoli International Botanical Art Exhibition, and Claudia Lane to Out of Woods by American Society of Botanical Artists. Both of these exhibitions are prestigious and competitive, to which artists submit their best works from around the world. I am very proud of their achievements. Last year, Susie Williams and Barbara Rose got in Filoli International Botanical Art Exhibit, and Ramiro Prudencio and Heeyoug Kim in the New York Horticultual Society / American Society of Botanical Art International Botanical Art exhibit. 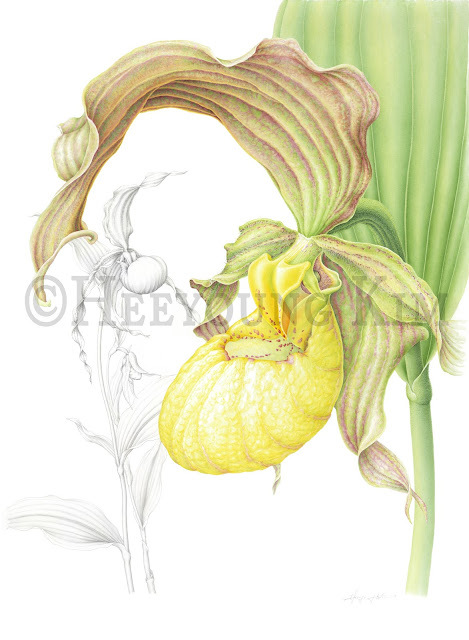 Claudia Lane's ink illustration was featured in the Journal of the American Society of Botanical Artists. 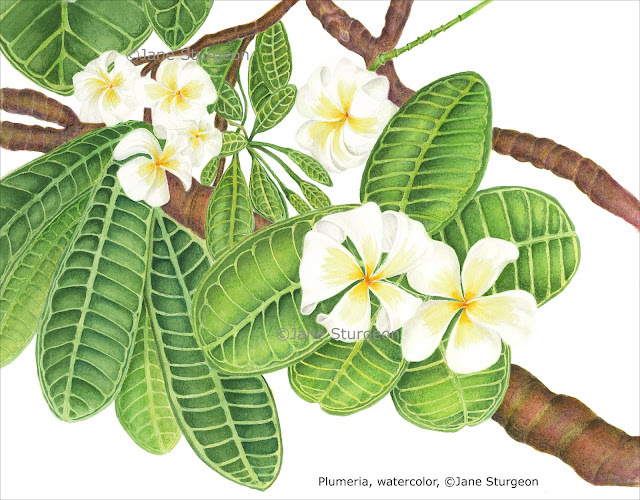 The invitation card this year features watercolor, Plumeria, by ©Jane Sturgeon. Brushwood Center at Ryerson Woods. November 23. It is stunningly beautiful at this time of the year. When you come to the opening, don't forget to take a walk in the woods. 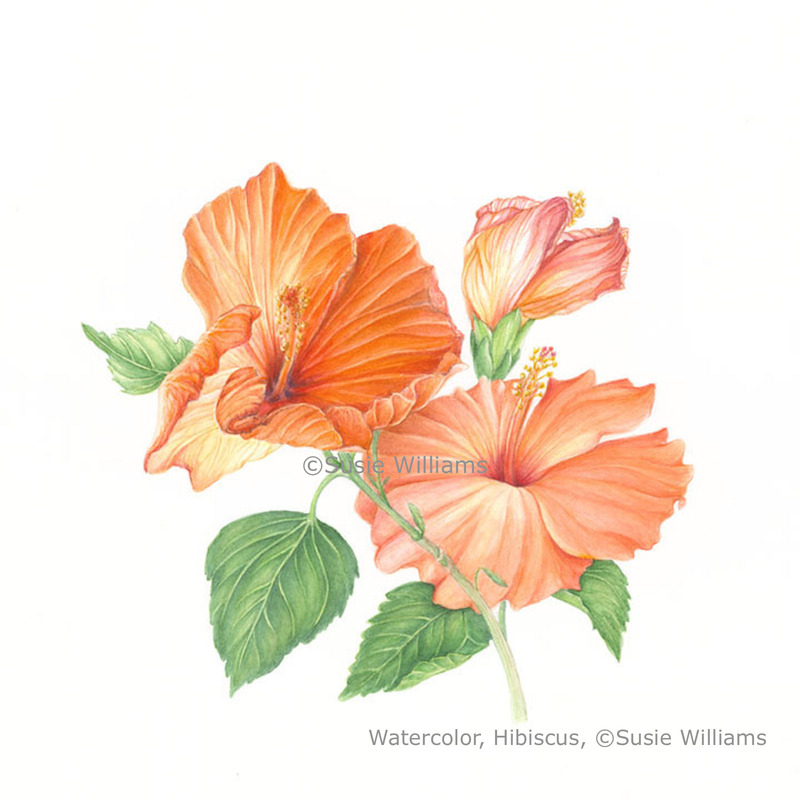 wonderfull work you've done.really you deserve an award for this stunning botanical art. i wish i could join your clases if i lived closely.great work.keep it up. It is important that your associates see you as the kind of forward-thinking organization anyone would be only too happy to work with. Meetings offer crucial opportunities to reach out to new clients and strengthen those bonds with existing clients, so always use the best convention center available out there. 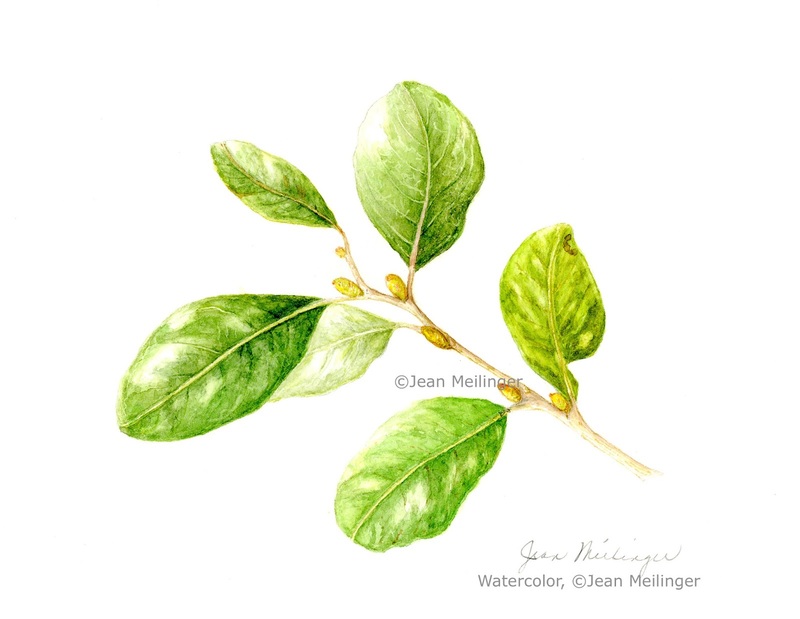 Botanical Art is a well known artistic expression for some individuals and societies. On the off chance that you have bloom courses of action made for any event you are acquiring Botanical Art. It may look simple, however, it isn't. Individuals need to go to class to learn different things about numerous kinds of blooms. I find a very good website for the Peoria Tow Truck, If you want you can visit this site.